Attach to a player's threat dial. Limit 1 per player. 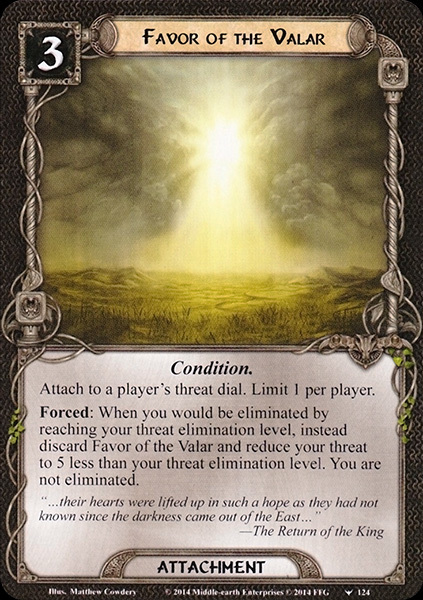 Forced: When you would be eliminated by reaching your threat elimination level, instead discard Favor of the Valar and reduce your threat to 5 less than your threat elimination level. You are not eliminated. "...their hearts were lifted up in such a hope as they had not known since the darkness came out of the East..."